Nasa’s Space Technologies Mission Directorate (STMD) is responsible for coordinating the cutting-edge technology development projects within Nasa, its contractors, and academic partners at major research universities. One drawback to relying on the “usual suspects” is the risk of group think, the tendency of closely-related groups to reach the same conclusions. STMD launched the Centennial Challenge program to bring different perspectives and more out-of-the-box thinking into the development process. It is modeled on the Orteig Prize which led to Charles Lindbergh’s pioneering trans-Atlantic flight and the more recent Ansari X-Prize which led to SpaceShip One, the first commercially-developed suborbital rocketplane. Rather than pay one company to fund a specific approach, the Centennial Challenge lets many companies, universities, or government agencies compete for a series of prizes. The competition produces many different approaches to solving a problem in space exploration at a lower cost than Nasa’s traditional approach. Nasa/STMD is considering a new Centennial Challenge that would send teams in “Near Space”, the informal region of the stratosphere thirty kilometers above Earth’s surface. Students and hobbyists regularly send GoPro-laden weather balloons into Near Space above more than 99% of Earth’s atmosphere. The videos that come back show a thin, blue ribbon at the horizon beneath the darkness of outer space. Nasa regularly sends telescopes and other instruments into Near Space beneath high-altitude balloons the size of football stadiums. Without much the light-absorbing effects of the atmosphere below, the telescopes can observe regions of the spectrum that ground-based telescopes cannot see at a fraction of the price of orbiting space telescopes. But Nasa cannot control where the balloons go. By design the balloons float where the winds carry them. The politics of national airspaces and the risk of instruments weighing several tons falling on populated regions limits where and when Nasa conducts these missions. Many of the flights launch from Antarctica where winds circulate around the South Pole. But Antarctic operations are expensive and can only happen during the southern summer. The Airship 20-20-20 Challenge could let Nasa conduct more Near Space missions from a wider range of sites by developing a controllable stratospheric airship. Science missions could fly from hangars anywhere in the world and stay in one place for extended periods. That would open up more options in space and Earth sciences. Teams must to create an airship design with the potential to scale up to a payload capacity of one metric ton. Ten teams that pass an initial scalability review would receive $20,000 in seed money and the right to compete in a two-tier contest. The first tier would require teams to build an airship that carries a 20 pound payload 20 miles into the stratosphere on a 20 hour flight. * Teams that do this within three years would split a $1 million prize purse. 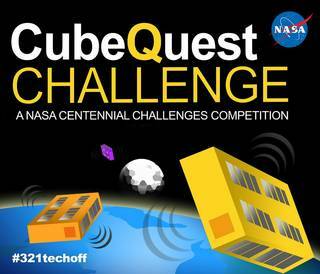 The first team to fly a 200 pound payload for 200 hours (at a 20 mile altitude) would win the $1.5 million grand prize. The Airship 20-20-20 Challenge is still in the proposal stage, but STMD issued a Request for Information last week to get feedback from interested parties. The document outlines the rules, eligibility, judging criteria, and other aspects of the competition. If Nasa decides to proceed, the Airship 20-20-20 Challenge become the latest of a dozen other contests that let the public help develop technology for the space agency. Past contests sought innovative solutions for spacesuit design, mining the Moon, and space elevators. * I suppose a metric-based contest with a 30-kilogram, 30-kilometer, 30-hour target would have required a $30,000 initial grant and made the contest too expensive.